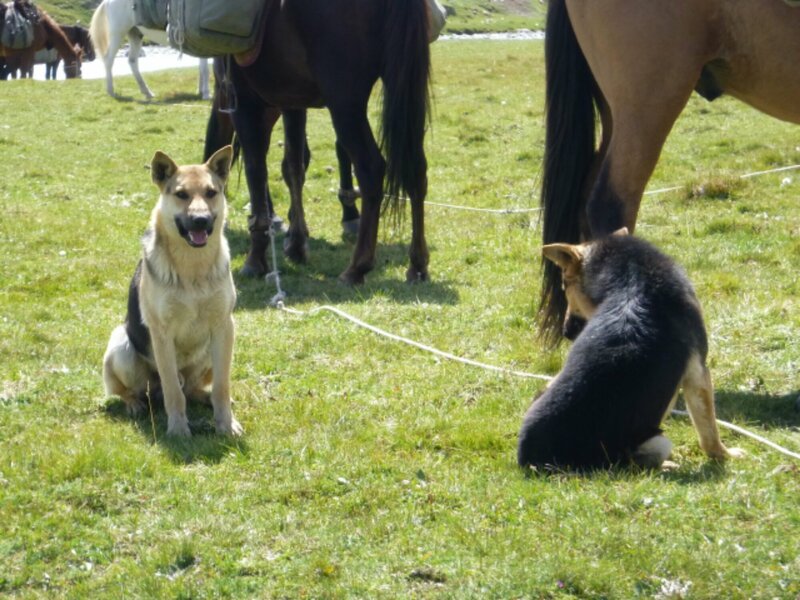 Kyrgyz shepherd’s dogs | Can I Bring the Dog? We met these guys one day. They were out with their owner, watching the flocks, and when he joined us for lunch, they did too. They stayed quite respectfully at a distance until we finished. Then they got the leftovers. NOTE: This post was hiding, I just found it and am sharing now.